I’m a hardened comms person/journalist. I’ve seen a lot of materials which offends and much of that material doesn’t surprise me. 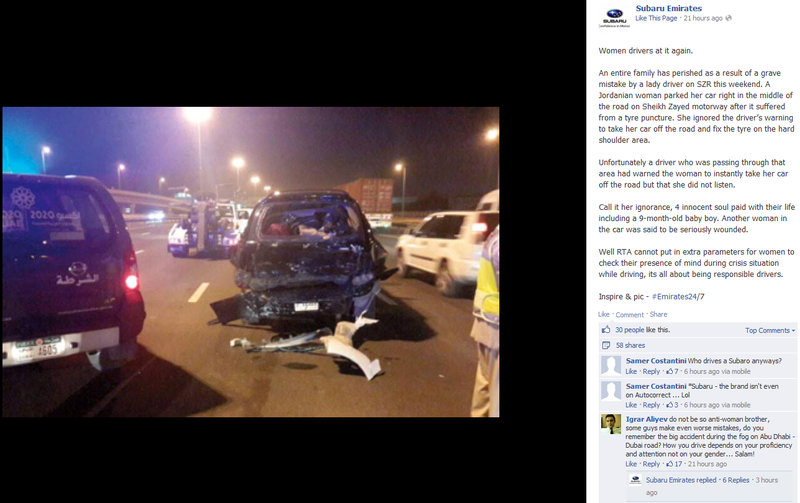 However, this morning I was wincing at a post on Facebook, on the UAE page of the automotive brand Subaru. The post, which relates to a recent accident which claimed the lives of four people, offends both women and a specific nationality. While this isn’t enough, not a single positive piece of advice is given to drivers to help avoid such a tragedy in the future. The post is screen-captured below. And to ensure maximum shock value what would you title such a piece? ‘Women drivers at it again’. For me, pretty much everything that could have been done wrong was done wrong with this post. Frankly, it’s disgusting. To fan the flames of outrage further, the admin person does not apologize but rather seeks to defend the comments against the criticism (sixty comments and counting and 58 shares within 21 hours). This has gone out to 15,000 accounts who have liked the page and has been distributed to hundreds more through the shares. Depending on Subaru Emirates’ advertising policy in the UAE this could have reached hundreds of thousands more. Stepping aside from the grotesqueness of the post, it’s a remarkable thought that the company could have alienated over half of its potential buyer base. 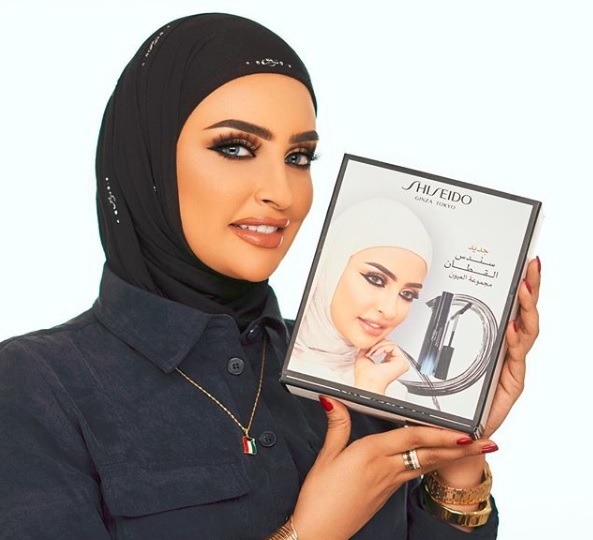 As an aside, I doubt that the page has asked permission from the newspaper Emirates 24/7 to use this image in a commercial setting. I’m not going to delve deeper into this as there’s little positive about this episode apart from to learn what not to do when promoting a brand through Facebook. Subaru, please do the right thing and apologize for the post and ensure that the admin person learns the error of their ways. Comments are below for the post (apologies for the size but it’s easy to zoom in and view/read). This is the first comments screen shot. Note the defensive post by Subaru Emirates and the anger of the responses. I’m sure that Subaru has guidelines for appropriate social media usage for its internal staff and agencies. They need to ensure that these guidelines are understood by all and that they are followed by their social media admin persons. I’ll be writing a how-to blog for how to use Facebook properly soon. As a responsible individual, we all need to understand the other. That’s even more true when you’re running someone else’s brand on their behalf.